Addressing the first meeting of Karnali Province in Birendranagar-Surkhet, GEFONT Vice President and Karnali Province Incharge Bidur Karki said “We are committed to work for implementation new Labour Law and Social Security Act that covered all workers.” He also informed about GEFONT challenges and opportunities to make 79 Municipality level Committees in 10 Districts. Likewise, Speaking in the meeting GEFONT Vice President Kamal Gautam expressed need of specific policy and work plan for Karnali Province.First meeting of Karnali Province has been organised under the presidency of Tej Prasad J.C, President of Karnali Province.The meeting has adopted fist 100, second 100 and third 100 Days work plan and assigned the responsibilities among GEFONT and Affilates leaders & members. The meeting has formed 7 members Secretariat, 3 members Financial Committee and 3 members Administrative Committee. 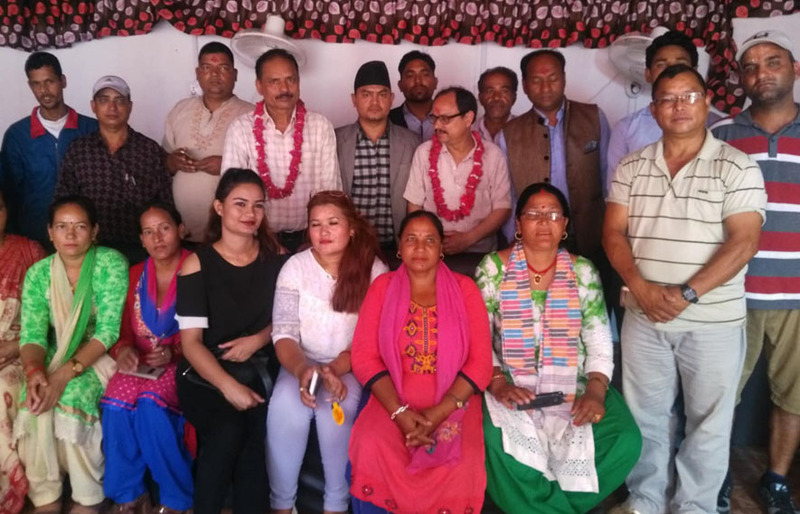 As well as formed Woman and Youth Committee.The meeting has farewell founder Coordinator Gautam honoring his role to organise workers in Karnali Province. Likewise, the meeting also welcomed and honored Incharge Karki. Representatives from Surkhet, Kalikot, Dailekh, Jajarkot, Jumla, Mugu, Salyan and Rukum have participated in the Meeting.